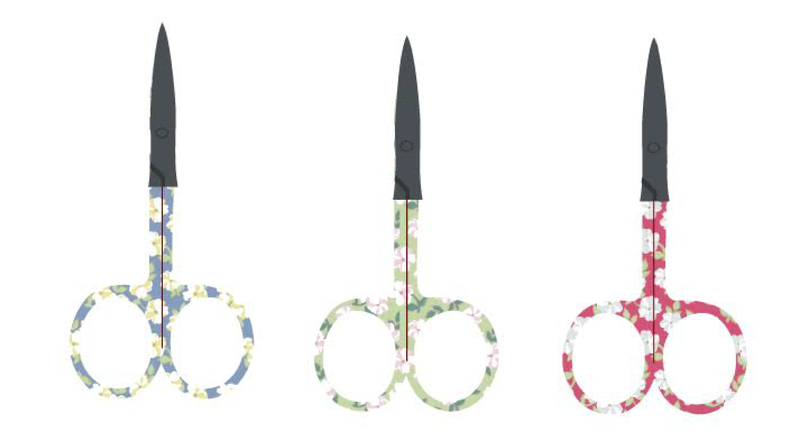 Jera Brandvig's Custom 4" scissors with prints from La Conner Fabric on the handles! Sale Price $6.00 reg $8.00. This product was included in the 2017 September Quilty Box!